Hello #acadv & #nacada13 friends! The 2013 Annual NACADA Conference has kicked off, and is in full swing here in Salt Lake City, UT. This might be my last week serving as the NACADA Technology in Advising Commission (#AdvTech) chair; however I have no doubt that our group will continue great things with the incoming elected chair, Julie Larsen (@julieclarsen). Here is a little bit about our NACADA Commission, and how you can get involved with us whether you are in SLC or at home. What is the #AdvTech Commission? Do you want to get involved and ACTIVE with the #advtech commission? 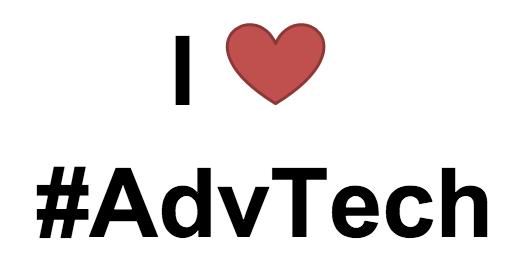 #AdvTech NACADA Technology in Advising Commission Sign-up for 2013-2014 http://bit.ly/advtech13. This form is for ALL commission members both at the conference in SLC and at home. Please let us know HOW you want to be involved this year. Talk to our #advtech steering committee leaders or me if you have questions, ideas, or suggestions for our commission! • CIG Fair & Continental Breakfast – Tuesday (10/8) from 7:15-8:30 am (Exhibit Hall A); drop by our booth & say hello! • #AdvTech Commission Meeting – Tuesday (10/8) from 4:30-5:30 pm (251 EF); all are welcome – information, updates & fun. Next post#AdvTech at #nacada13…More Than Just a Hashtag!